This book has an unusual take on zoos. It is a philosophical exploration of the concept of zoos, not, however, from the usual ethical angle of either animal welfare or animal rights, but from the ontological standpoint. 1 It demonstrates that the animals kept in zoos are, indeed, unique to zoos – they are not wild, nor are they domesticants in the classical understanding of domestication. Ontologically speaking, they are not tokens of wild species but of what may be called artefactual species. Such a provocative thesis also has controversial and radical policy implications for zoos, as it challenges those policies advocated by the World Zoo Conservation Strategy (1993) and the European Union Zoos Directive (1999). 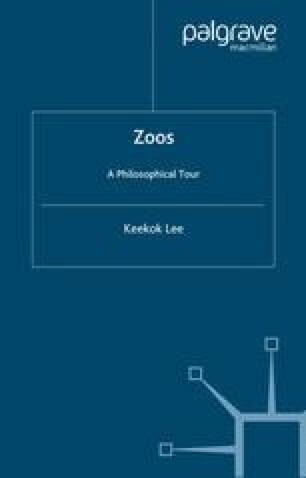 The book is written not solely for philosophers and philosophy students but in a manner which makes it readily accessible to zoo theorists and managers world-wide, as well as to anyone who has a professional or lay interest in zoos and their futures.